Young learners at our Montessori School in Riverside, California equally get exposed to dynamic learning programs that will give them a good academic foundation and love for learning, all while discovering their individual strengths and abilities. Going to school can mean different things for children, but education should be a process that develops them to become better, smarter individuals. Sugary treats can make your child happy but offer little to no nutritional value and will not be beneficial to their growth and physical development because of the lack of nutritional content. Too much sugar consumption can also cause childhood diabetes. Prevent your child from going down this track and provide more nutritional food choices such as fruit and vegetable infusions in their meals or beverages. Freshly made juices and sliced up fruits are great snacks, too. When their bodies are supplied with nutritious foods and enough vitamins to keep them energized all day, they have the energy and attention to learn and discover more things around them. Getting enough hours of sleep is one undeniable way to give your child the mental focus to learn new things for their Childhood Development in Riverside, California. Because when they are well rested, their emotions are more stable and they have good levels of energy for the activities that are waiting for at school. Sleeping well also aids in proper brain development, because it is only through deep uninterrupted sleep where brain development takes place and where physical growth stimulates. Your child will always want to impress you with every little thing they do. Your support means everything to them, so whenever you get the chance to watch them perform, hear them sing, appreciate them and support them, always. Your love is then translated into the physical sense when they can see you making time for them, to be with them. Parents who properly guide their children with good habits make resilient individuals. 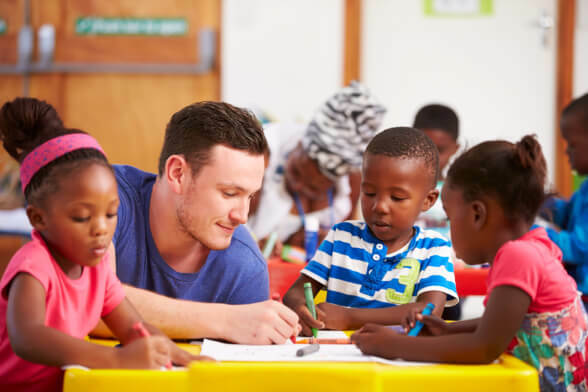 The programs we utilize for our Early Childhood Education in Riverside, California teach young learners not just the basics of academics but also life skills of discipline and perseverance. Ready to experience the Montessori way of learning? Enroll your child at Montessori Children’s House today. Call us at 951-359-5437 for your enrollment inquiries. This entry was posted in Child Education and tagged Brain Development, Child's Academics, Preschool. Bookmark the permalink.